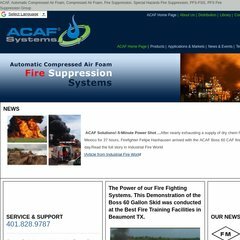 www.Acafsystems.net - ACAF Systems, Inc. Topics: Three Systems To Choose From, Automatic Fixed Spray System, and Automatic Fire Hose. acafsystems.net The Next Generation in Foam Fire Suppression ACAF Systems Inc ..
Mba Team (Massachusetts, Littleton) is the location of the Microsoft-IIS/6 server. Its 2 nameservers are ns1.bostonmanagedhosting.com, and ns2.bostonmanagedhosting.com. The programming language environment is ASP.NET. PING (204.12.3.234) 56(84) bytes of data.